The ideal pH for our bodies is slightly alkaline at 7.4. When the body is not getting enough alkaline minerals from food and water, it must rob calcium from its own bones to neutralize acidity. This is not ideal and once the body’s readily available alkaline mineral supplies are depleted, the body becomes overly acidic. A great way to maintain a more alkaline pH is by drinking alkaline water. This also helps to offset the the acidic nature of a typical modern diet as well as other environmental conditions which put stress on the body. Alkaline water may have numerous health uses, according to “Recover Your Health” by Jeremiah Joseph. He states alkaline water is better for hydration because it has fewer molecules and is more easily absorbed. However it is important to be aware that there are different ways of creating alkaline water. Artificially creating alkaline water can impact the health benefits of drinking the water and result in a number of adverse side effects. 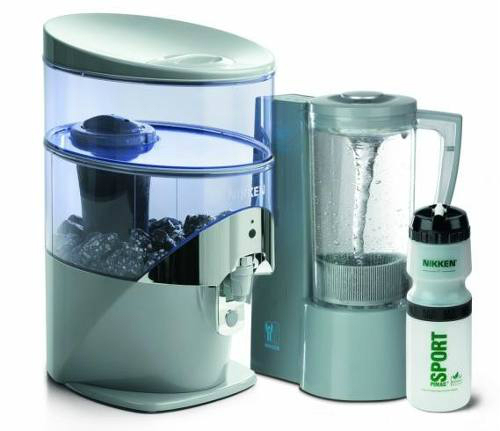 Find out here which filters create naturally alkaline water.